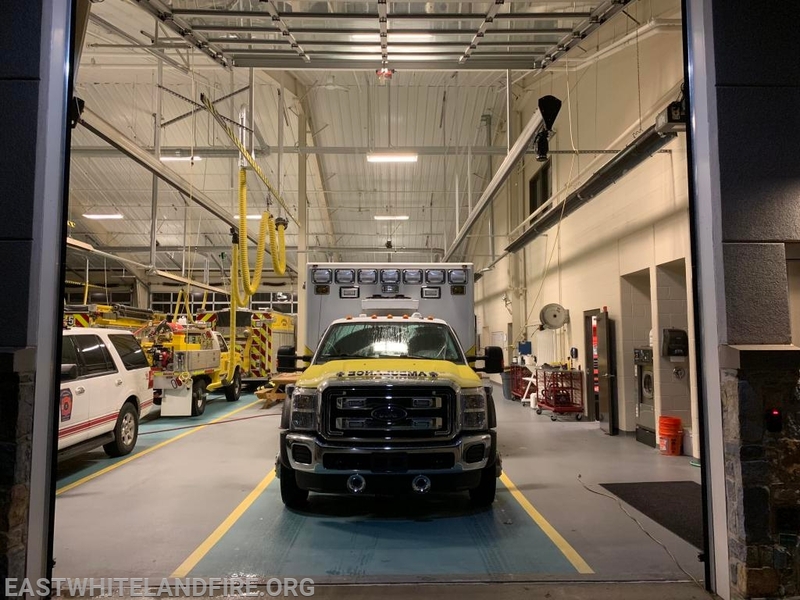 Station 5 was dispatched to 14 calls starting off the morning with an accident at 8:09AM, Ambulance 4-1 and Engine 5-2 were recalled by police. 9:08AM Ambulance was then dispatched to handle fall victim. At 10:45AM Station5 was dispatched to the Royal Worthington Apartments for a fire alarm. 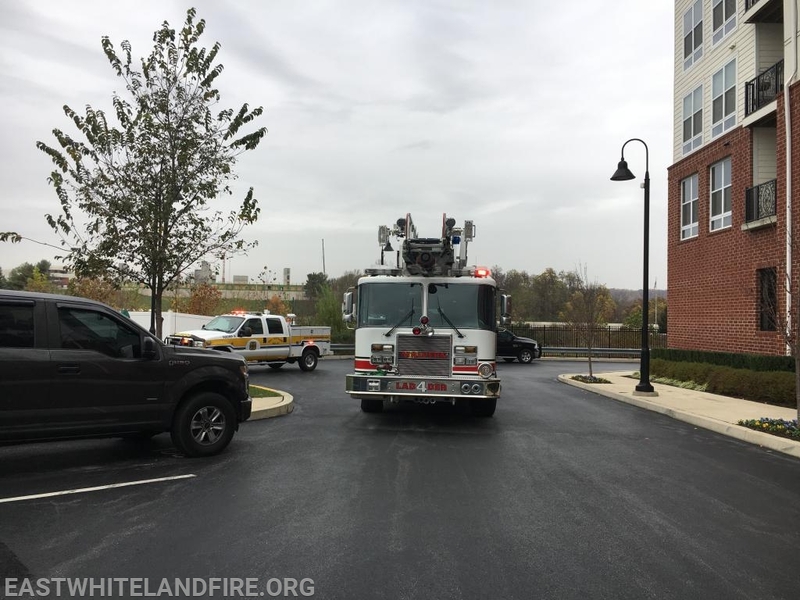 While responding, Chester County Fire Board advised that the alarm company was receiving additional signals and the alarm company spoke with someone stating there was smoke on the 4th floor. 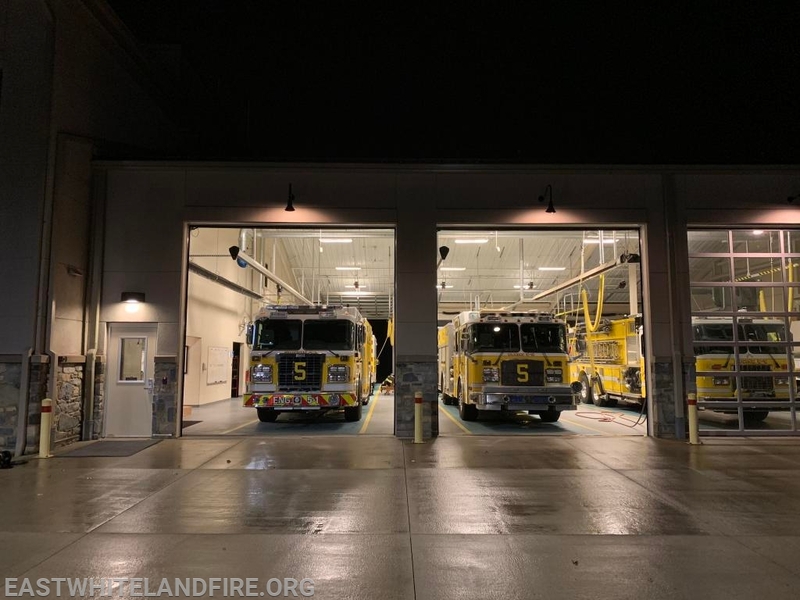 Engine 5-1 requested the assignment to be upgraded to the building assignment. Engine 5-1 arrived and established a water supply while FM42 took command. Crews were meet with a smoke condition on the 4th floor with activation of the sprinkler. The Sprinkler was able to extinguish the fire that was in the kitchen area of the apartment. Crews from Engine 2-1, Tower 3, and Ladder 4 crews assisted with the overhaul operations. Ambulance 3-1 handled rehab. 12:37PM Ambulance 5-2 was dispatched for an emotional disorder. 1:52PM Ambulance 5-2 covered by Ambulance 3-1 with Medic 4-1 for diabetic emergency. Engine 5-2 responded to assist. 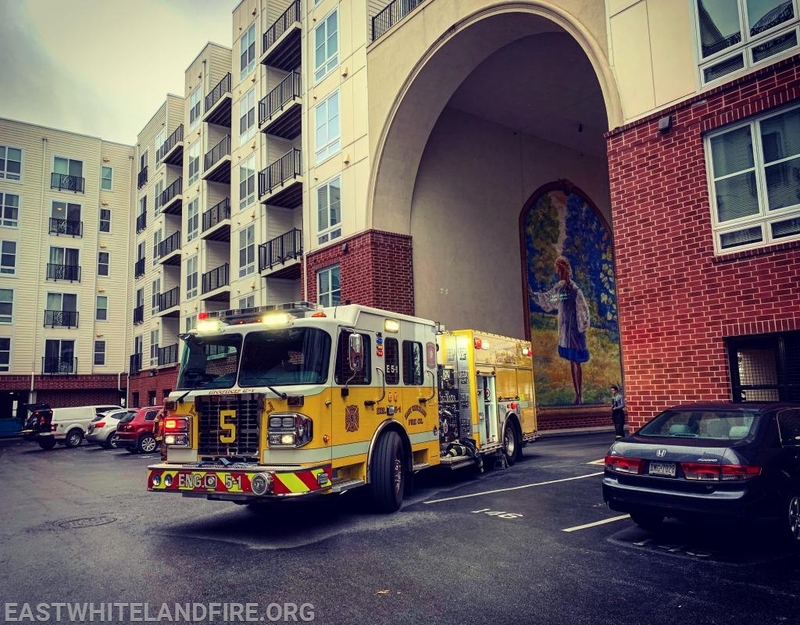 Engine 5-2 arrived and provided care till the ambulance and medic arrived on location 5-2 the cleared the scene and was dispatched back to the Royal Worthington Apartments for a fire alarm. Enigne 5-2 arrived and cleared since the activation was related to cleaning up from the previous incident. 2:15 PM Station 5 was dispatched to two Fire alarms. Engine 5-2 responded to the first fire alarm. Engine 5-1 responded to the second fire alarm and requested next due engine to respond to assist. Engine 5-2 arrived at the first fire alarm and found it to be a false activation and responded to the second fire alarm. Engine 5-1 arrived at the second fire alarm and began investigating. Engine 5-2 arrived and assisted with the investigation. Ladder 4 was returned. Crews were able to reset the alarm. 4:10PM Station 5 was dispatched with MICU 87-1 covering Ambulance 5-2 for an auto Accident. Engine 5-2 quickly made the response. Engine 5-1 followed shortly after. Engine 5-2 arrived on location with MICU 87-1 and found a disabled vehicle pushed into a driveway.  8:19PM Station again answers two calls at once. 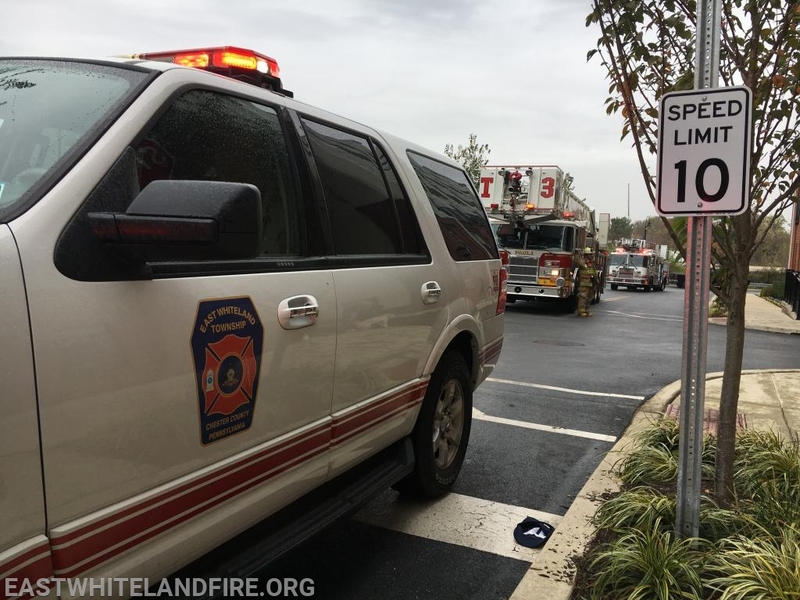 Engine 5-1 responded to a Fire Alarm at a local hotel while Ambulance 5-2 responded to a sick person call. Engine 5-1 had food on the stove while Ambulance 5-2 transported 1 to Paoli Hospital.